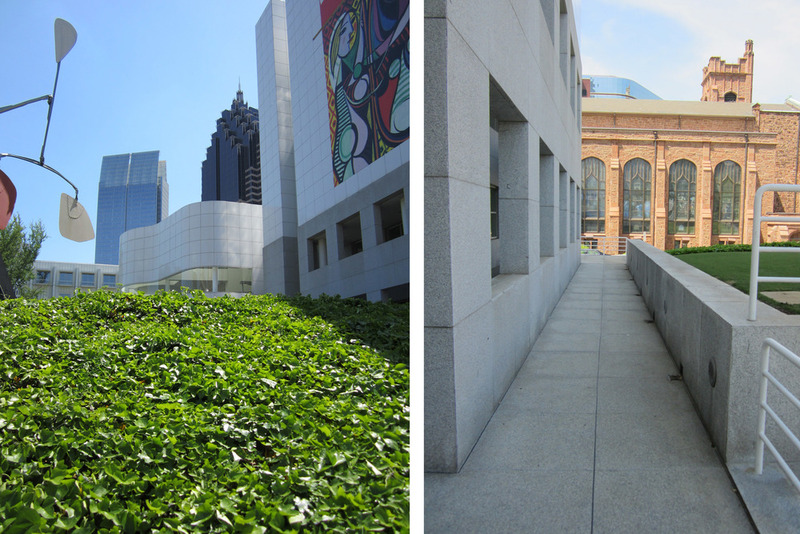 The High Museum was conceived as a “museum big enough for Atlanta”, and to that end, Richard Meier designed a building which was both a work of art in itself and of sufficient volume to meet the long range programs of the museum. The site / landscape was developed to support the new building, yet provide a relationship to the pedestrian based streets. The rolling landscape and berms around the building, the monumental entrance axis / bridge and various exterior courts / spaces serve to provide a pedestrian scale to the building. The landscape generally is simple in selections, strives to maintain significant existing trees and supports the building as a “pedestal”.